Can Van & Can Release Day! Can, can, can we fill some cans? With the help of The Can Van, yes we can and we did! 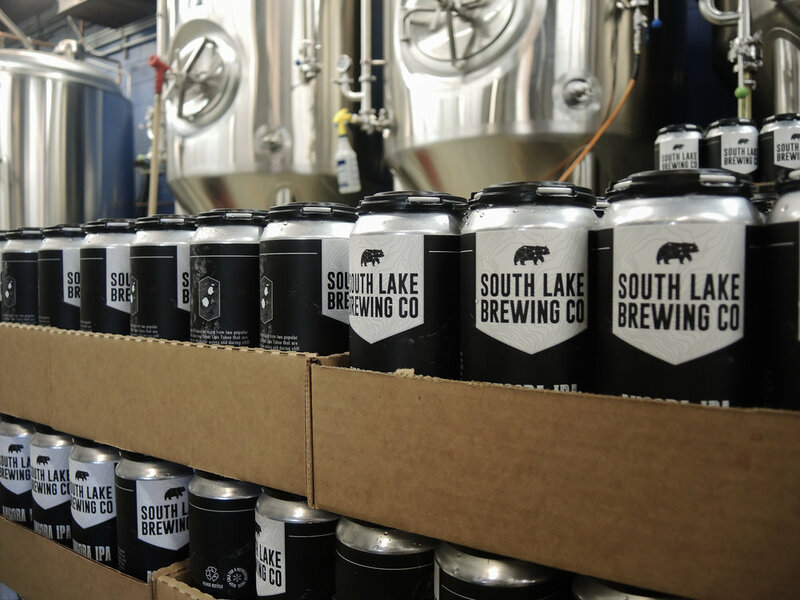 On Friday, January 12th, we made SLBC history with our very first round of canning 4-packs of 16 ounce cans! Who is The Can Van? Based out of the Bay Area, The Can Van is a mobile canning service for craft breweries. This mobile-service was founded by a team of five friends with a passion for craft beer, a love for sustainability, and the desire to help local businesses. Also, because they provide the equipment, materials, staff, and experience for canning beer. That means less money and time wasted for us. Although, we didn't want to miss our very first canning day so the brewers and owners decided to join the fun. The whole process for canning is pretty amazing to watch. From start to finish, their apparatus takes one minute to can 33 beers. When moving continuously with the can van staff and 3-4 bodies from the SLBC crew, we were able to fill a pallet of beers in less than 2 hours! The first brew of our canning day was our brand new and delicious N.E. style IPA, the Chunderstruck. This Northeast-style IPA is brewed with flaked oats, fermented with an expressive yeast, and hopped with an avalanche of juicy hops to create a luscious tropical fruit bomb of a beer. Notes of stone fruit, bright tangerine, and tropical smoothie tomahawk through your palate; finishing with a soft and pillowy mouthfeel. 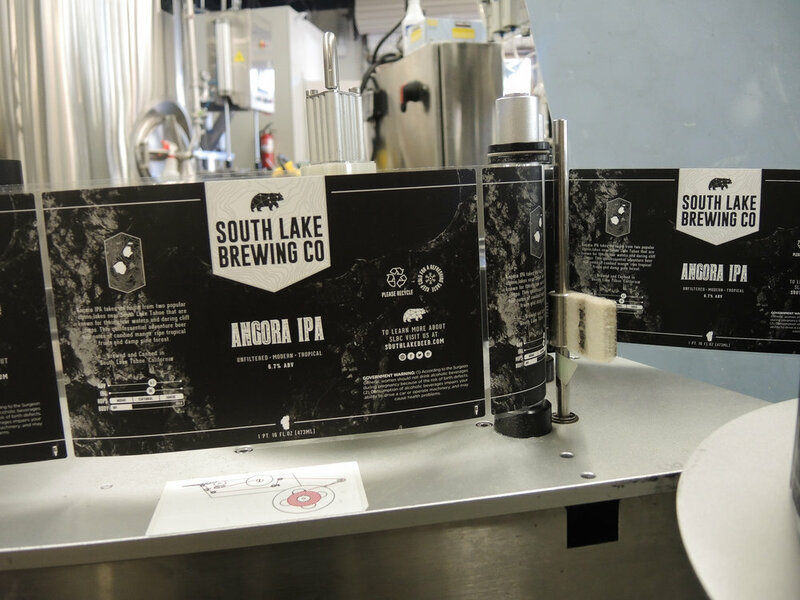 Our second brew was our Angora IPA of course! This unfiltered modern IPA brewed with oats and white wheat is hopped with Mosaic, Centennial and Simcoe throughout. This beer finishes with notes of candied mango, ripe tropical fruits, and damp pine forest. Can Release Day was a huge success! 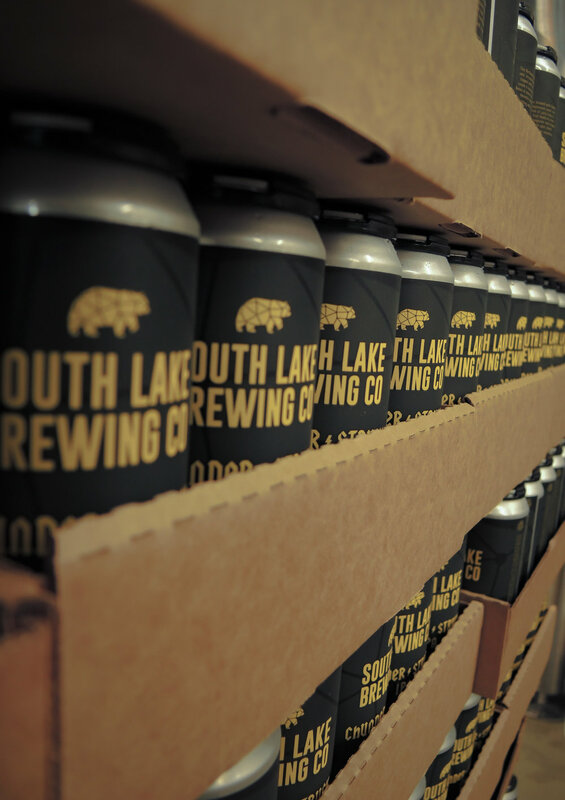 As soon as we opened our doors, we had customers purchasing between one 4-pack to a whole entire case! Our 4-packs are still on sale at the tasting room. Come visit and grab our beer to-go before we run out of our inaugural new packaging!